I had to think about this part of the challenge for quite a while. I had a few ideas that I wasn't to excited about but I didn't have any other options. 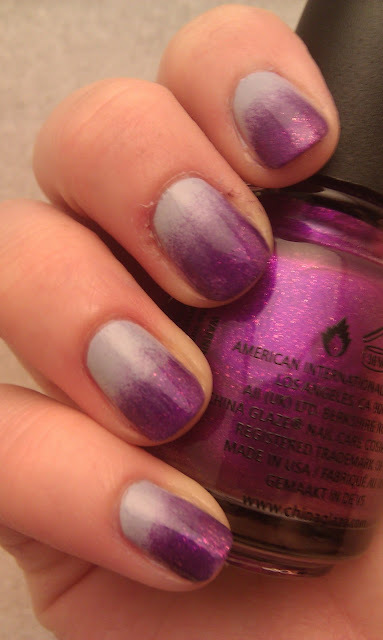 I pulled up my blogger feed one morning to see that gradient nails went viral. I feel like it happened so fast! Next thing you know, gradients of all colors of the rainbow are everywhere! I love it! But let me tell you, it's not easy. 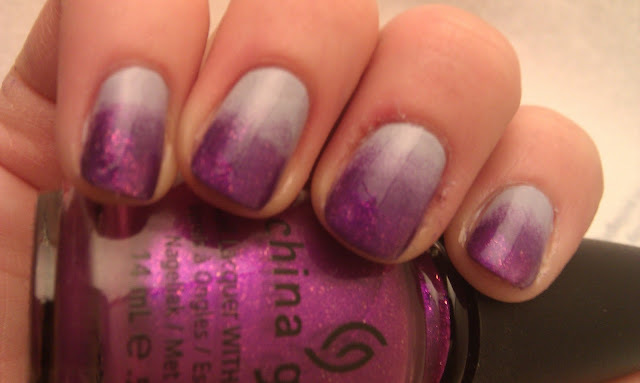 I spent a long time practicing with many colors before I came up with a gradient that I liked. So I started this manicure with two coats of China Glaze Agent Lanvender, which I must say is lovely on its own. 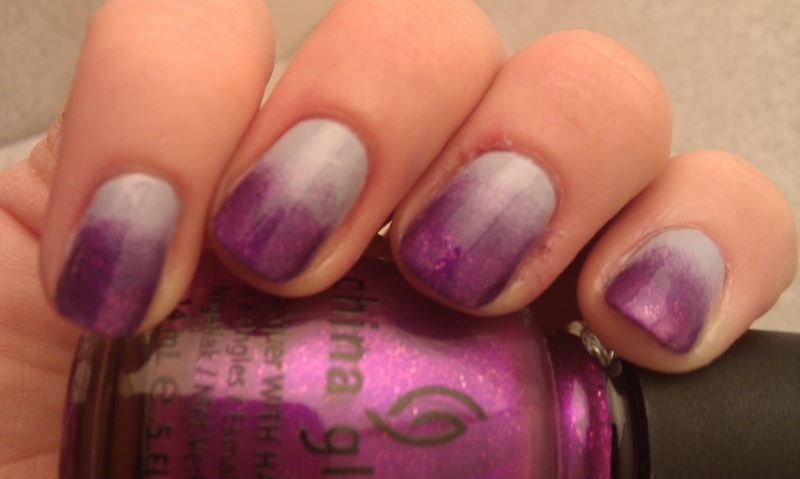 I let that COMPLETELY dry before I started sponging with China Glaze Grape Pop. I used the widely used sponging technique shown by The Nailasaurus. The only difference is that I brushed the polish directly onto the sponge instead of blending them. My gradient isn't as 'flowy' for this reason. Either way, for my first try I think it turned out pretty good! I can't wait to practice and do gradients with bright summer colors! I topped off my manicure with Seche and there you go. I hope you like! Don't forget to check out the other Bloggers' Effect Nails for this challenge! Came out great! I still haven't tried a gradient... I am soooo slow on this trend haha. You've inspired me though - I'll try it next week! oh good! I can't wait to see it! Very pretty! I haven't tried a gradient either.... I should try one soon! You should! They are great!